Three men have been jailed for 35 years after a man was kidnapped and assaulted in Tilgate Park, Crawley, Sussex Police has confirmed. At around 1.30am on December 8 last year, a car was seen acting suspiciously in the area and a 43-year-old man from Crawley was found lying in a stream by the car park. The man had been assaulted and suffered a number of injuries including a broken leg and fractures to both eye sockets. Jannai Quacoe, 25, of no fixed address, denied kidnapping, making threats to kill and two counts of causing grievous bodily harm (GBH) against the man. 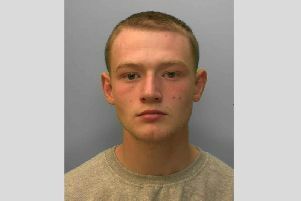 However he was found guilty on June 6 by a jury at Hove Crown Court and was sentenced to 15 and a half years, police have confirmed. Noel Goode, 20, unemployed, of Ifield Rd, Crawley, and Daniel Ellison, 25, unemployed, of no fixed address, both appeared at Hove Crown Court on May 31 and pleaded guilty. Goode admitted two counts of GBH, kidnapping, making threats to kill the man and dangerous driving and was jailed for ten years. Ellison pleaded guilty to a charge of GBH with intent against the man and was imprisoned for nine and a half years years. All three appeared at Hove Crown Court earlier today (December 9) for sentencing. Detective Sergeant Mark Buckley said: “The victim in this case sustained a prolonged and brutal attack from a group of people. He added: “In spite of this, he showed courage and bravery in an effort to assist in prosecuting those responsible.